1988 Olympic Winter Games, Alpine Skiing Venues | 1988 Olympic Winter Games, Alpine Skiing Venues | Ecosign Mountain Resort Planners Ltd.
Ecosign was engaged by the Government of Alberta to search 22,000 square kilometers of the Alberta Rocky Mountains for a location that could successfully host all alpine skiing competitions for the 1988 Calgary Olympic Winter Games on one single site. After careful evaluation of dozens of sites over 6 months of technical study, the Government of Alberta selected Nakiska atMount Allan to host all Alpine Skiing competitions. 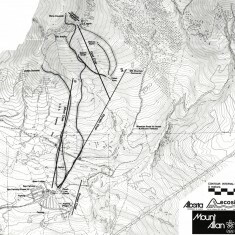 Subsequently, Ecosign won a public tender to design the Ski Area Master Plan for Nakiska at Mount Allan. Ecosign designed the Men’s and Women’s downhill pistes in close cooperation with Mr.Bernhard Russi of the International Ski Federation. 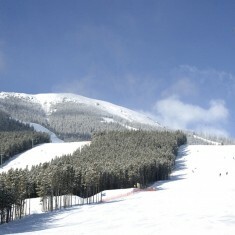 The site was later renamed Nakiska Ski Resort which has grown into a popular commercial ski area and winter sports training center for national ski teams. 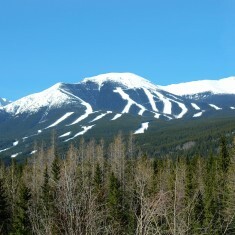 Nakiska is an economically viable recreational ski area to this date hosting well over 200,000 skiers annually. Ecosign also created the Master Plan for Canada Olympic Park for the 1988 Calgary Olympic Winter Games including venues for Ski Jumping, Bobsleigh and Luge as well as demonstration sports for Freestyle Skiing Aerials and Ballet.